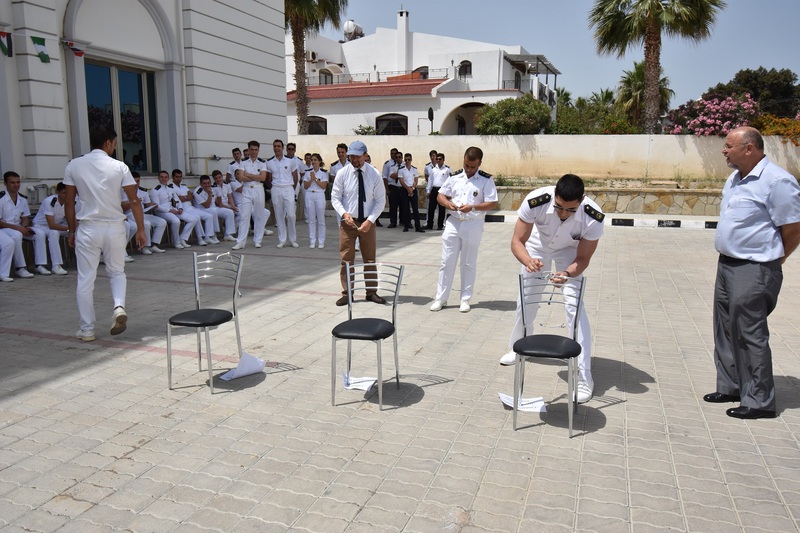 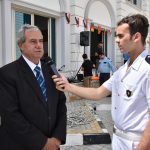 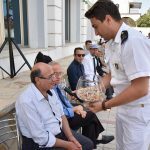 University of Kyrenia ‘Traditional Maritime Uniform Transition Activity Day’ was held on the 2nd of May. 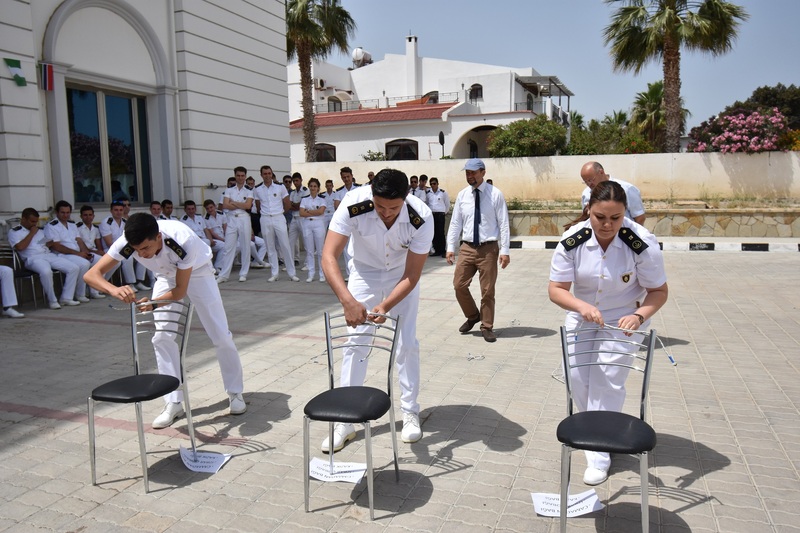 University of Kyrenia Uniform transition from winter uniform to summer uniform for Marine program students took place on campus with various competitions. 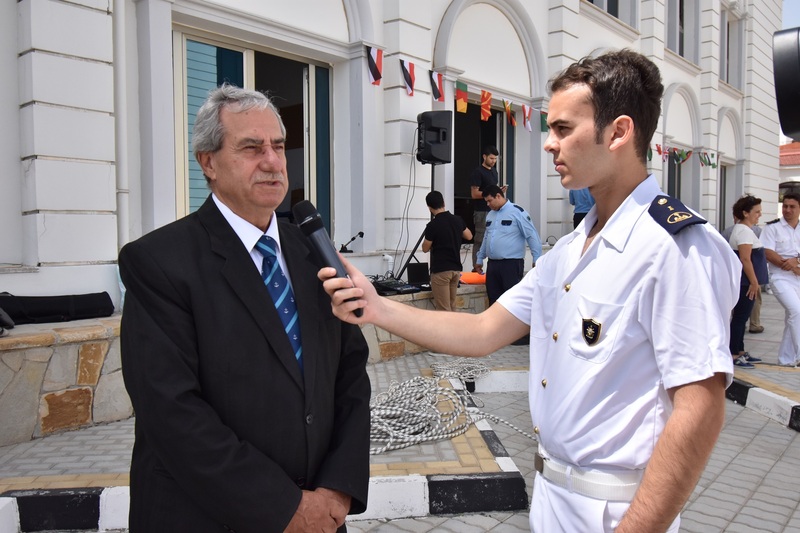 The event started with the opening speech presented by the dean of Maritime Faculty Prof. Mustafa Altunç, followed by the presentation of the competitions by Yusuf Öztürk, a senior student of Maritime Transportation and Management program. 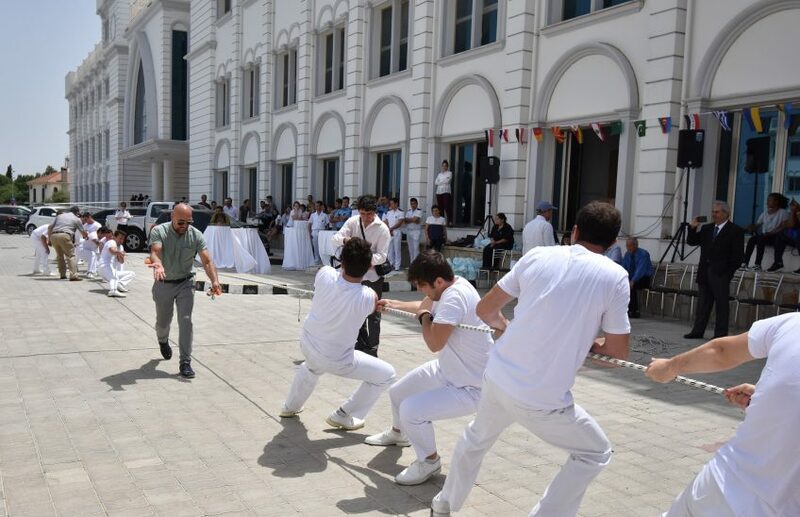 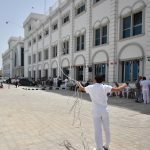 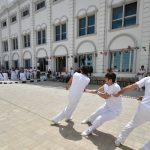 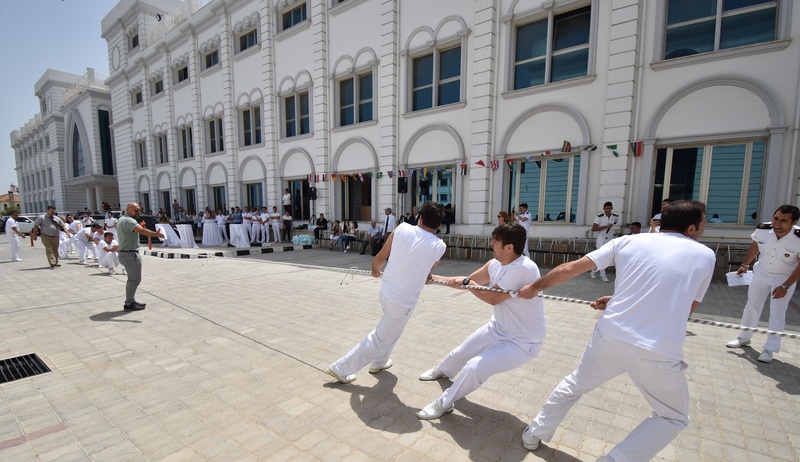 The event included a prediction game, mariner ties, rope throwing and rope pulling competitions which took place between the students and academicians. 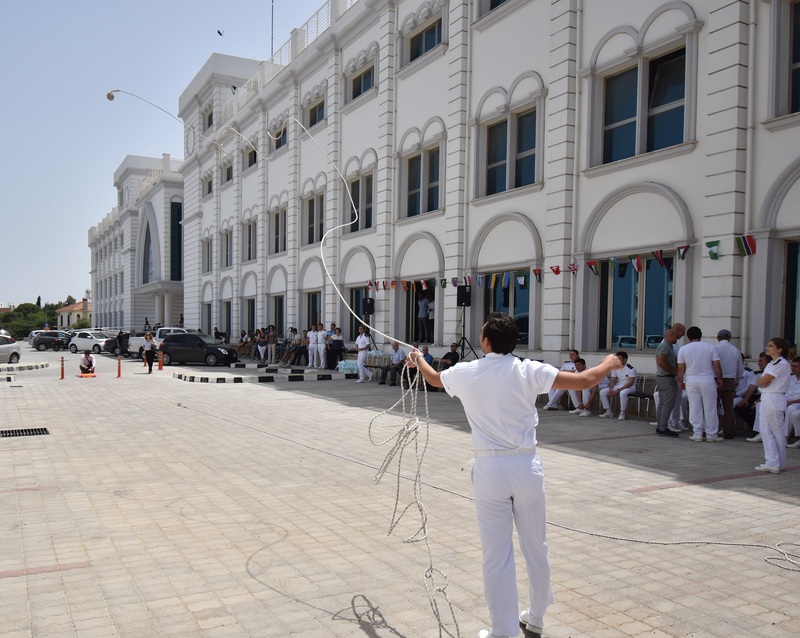 The rope pulling contest resulted with a draw between two teams formed by students from the Deck department and Marine Engineering department. 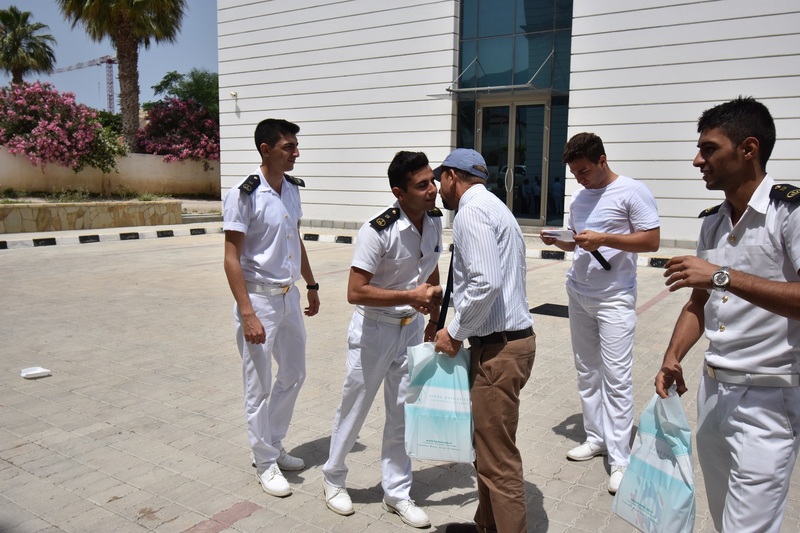 Senior students had an emotional moment during their last uniform transition events. 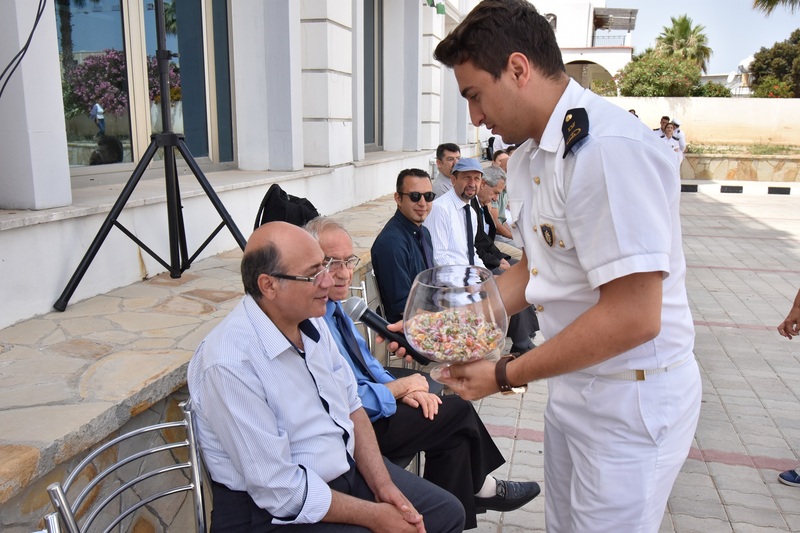 After the winners received their prizes, white beans and rice, the traditional menu of Sunday lunch of Turkish ships was served for the closing of the events.